How amazing would it be if every time a new episode of your favorite TV Show released, you had it downloaded and ready to view? 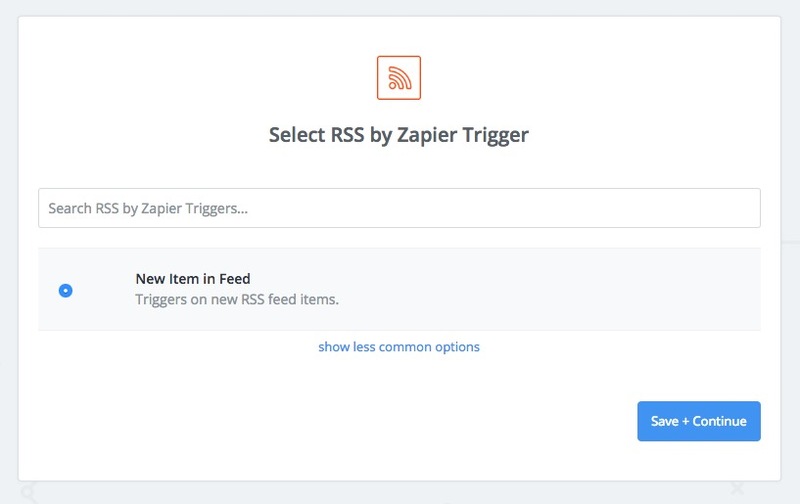 or if you had a way to backup your files from a RSS feed. 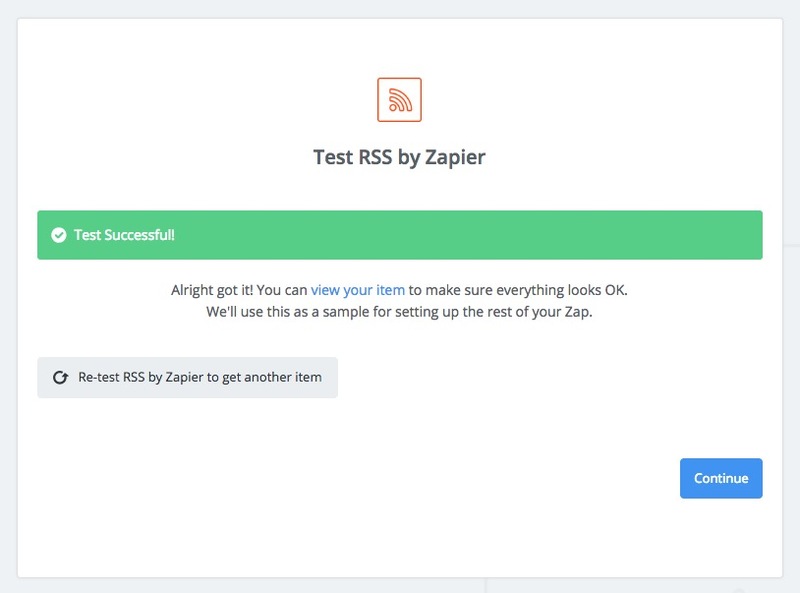 Well, using a bit of Zapier, RSS and OffCloud’s Web-based downloader – it is now possible. 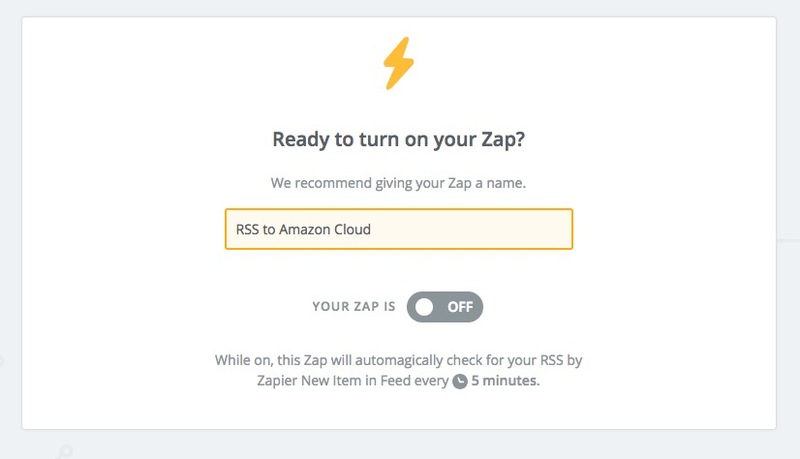 In this tutorial, we will see how to download / backup to Amazon Cloud Drive via RSS with the help of Zapier. 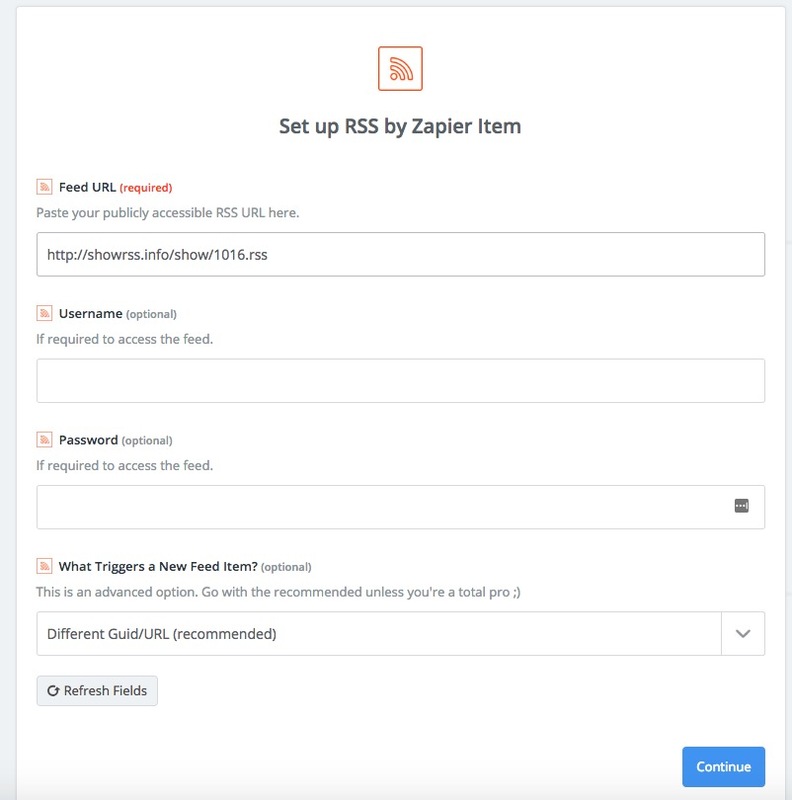 You will need to set up an account with Zapier and Offcloud for this tutorial. 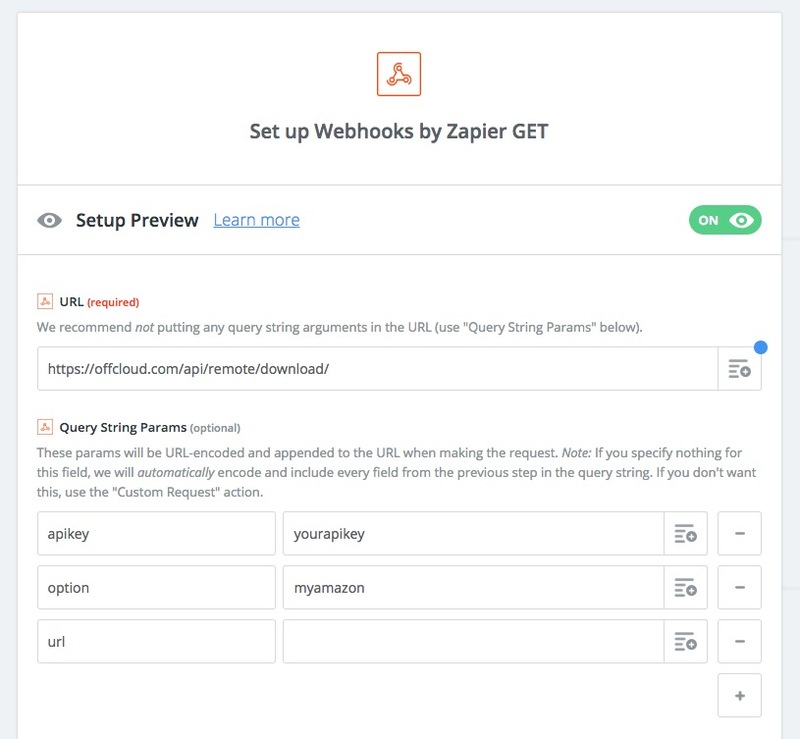 Now that we have connected your Google Drive to Offcloud – let’s set up your Zapier account to connect with OffCloud. 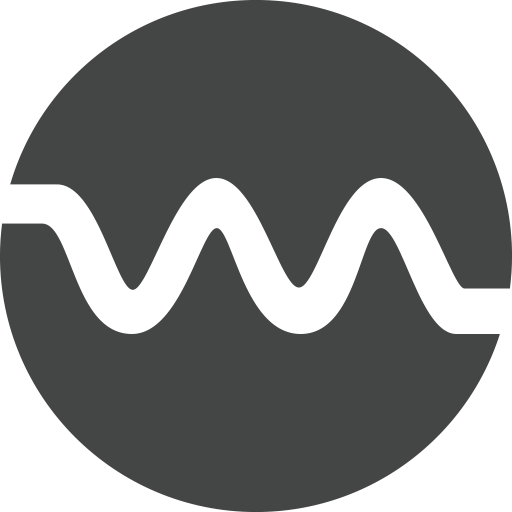 In the next page, we will put in information for webhook. 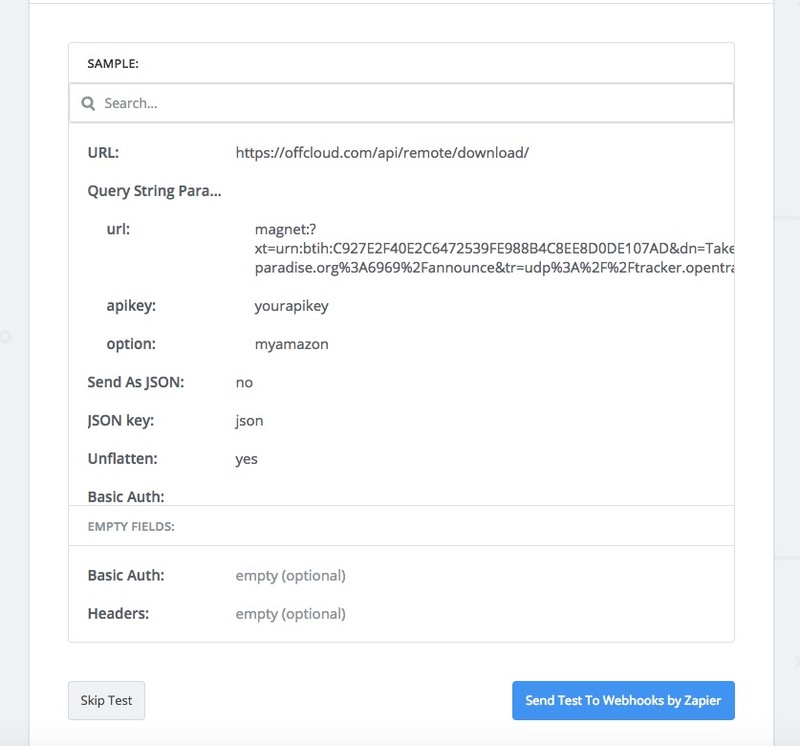 The URL would be https://offcloud.com/api/remote/download/. apikey : Your API key and option. You can find this at https://offcloud.com/#/remote and click on the RSS icon at the top right. 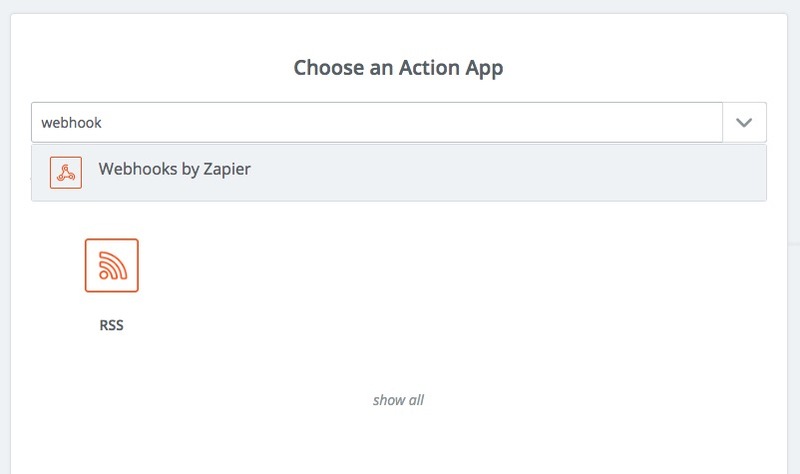 (5) Click on Make a Zap to create new Zapier integration. 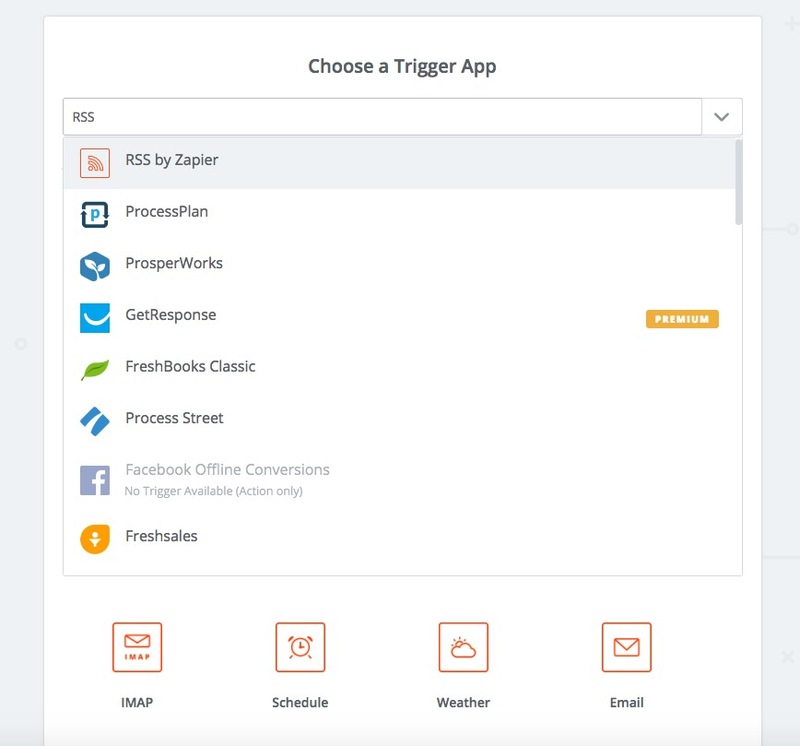 (6) Select RSS by Zapier by searching for it. (7) Choose New item in Feed as the trigger. (8) Fill up RSS information including FeedURL. (9) Double check if all the info filled up for RSS was correct. 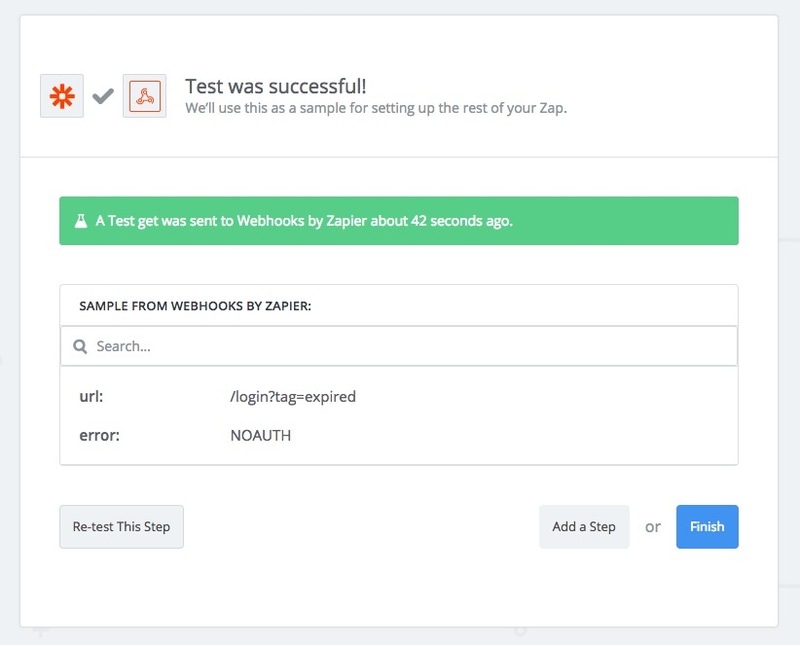 (10) Zapier will alert you if the test was successful. 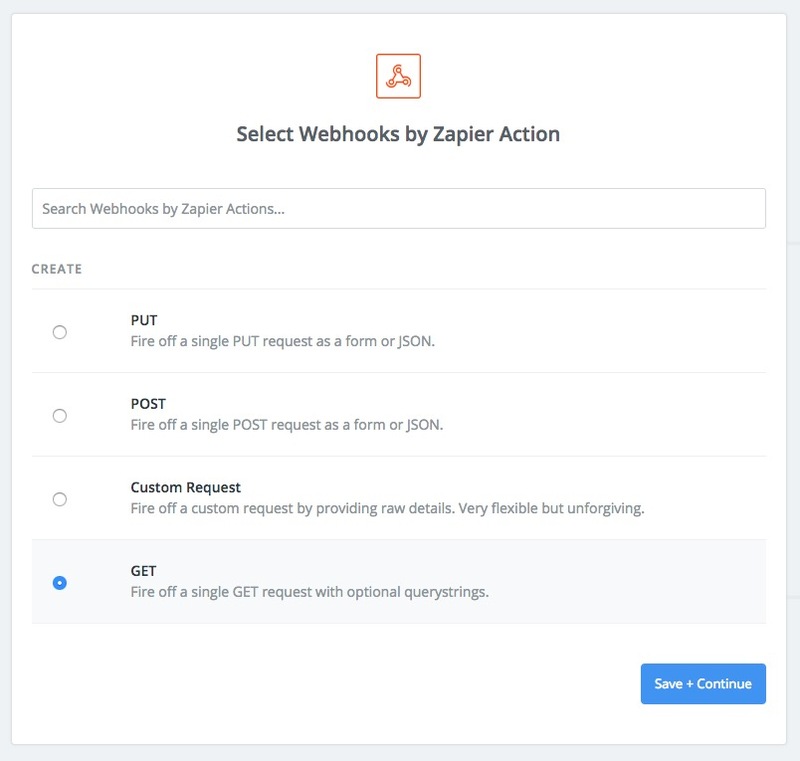 (11) Choose for Webhooks by Zapier by searching for it. (12) Select GET method as we will be making a GET call. 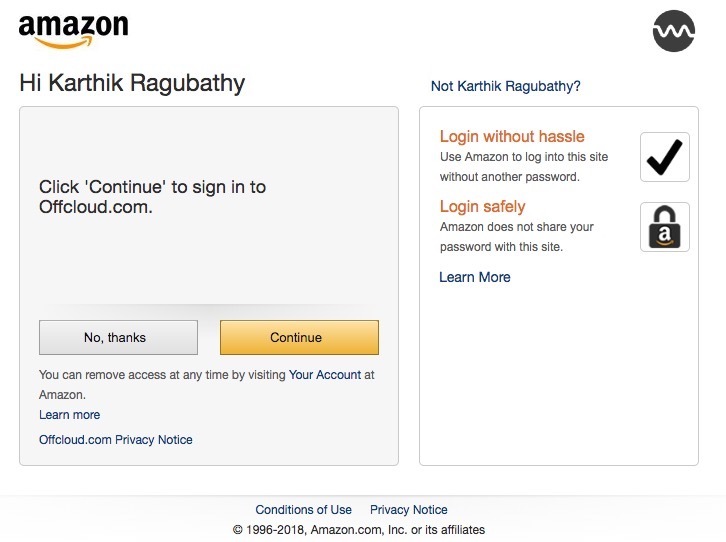 (13) Fill up the URL information and the Query String Params. 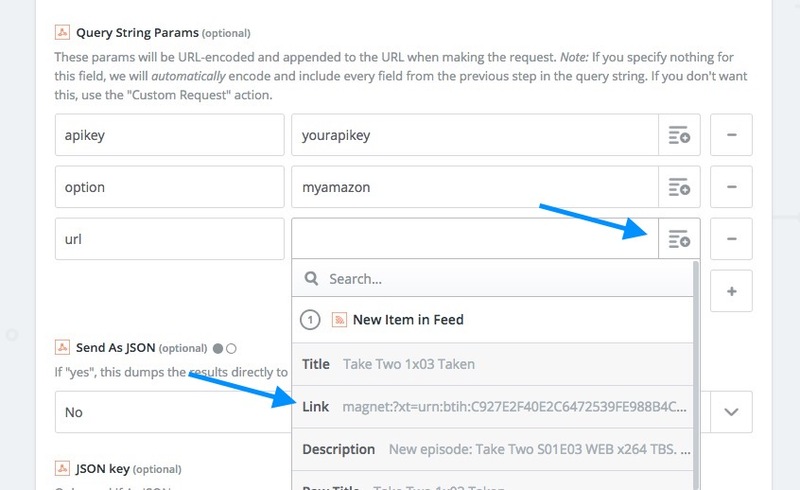 (14) Click on the + icon and select the Link in the url Query String Parameter. (15) Confirm you have added all the information properly. 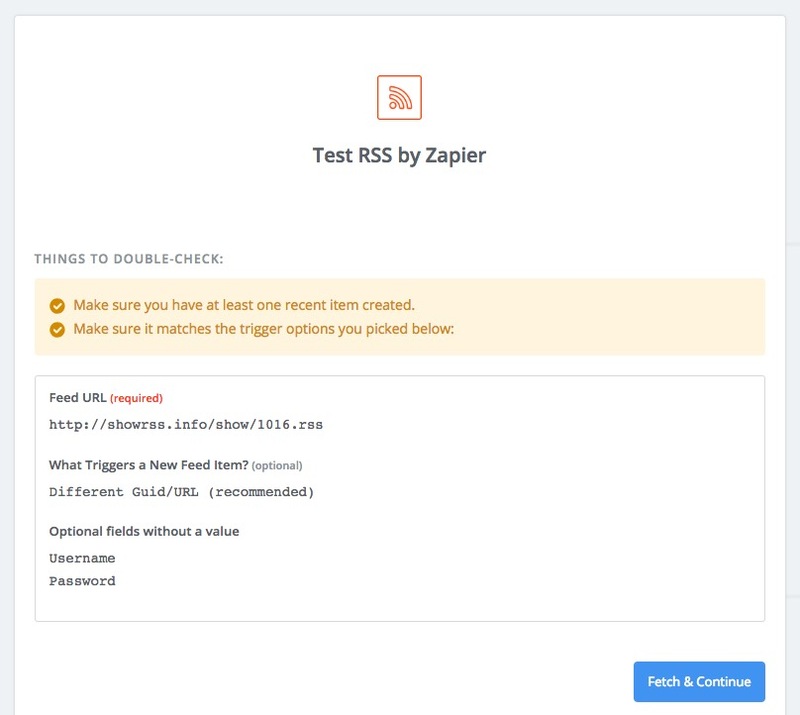 (16) Zapier will alert you if the test was successful. (17) Name the Zap something relevant , and turn on the zap.